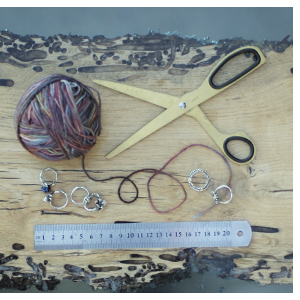 All you need is some thread, a pair of scissors and a ruler. Measure tightly around your finger. Find your size in the table below. 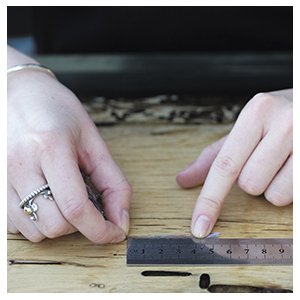 Remember to measure each finger. You can choose from 10 sizes. 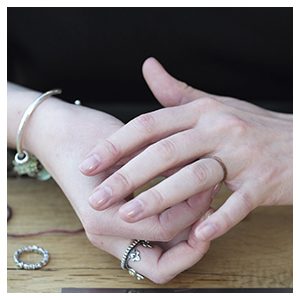 All of our Rings are handcrafted from .925 sterling silver and/or solid 18k gold. We offer a variety of rings that feature carved carved, freshwater pearl, semi-precious stone and Italian glass details. 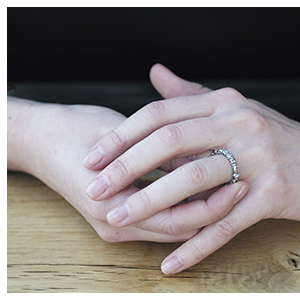 Our rings can be layered or worn alone.